Emergency Exit Modular Push Bars - DGS Group Plc. The modular push bars panic exit device range comprises a full width cross bar and modular components (standard mechanism, idler and cross arm). The range offers a large degree of flexibility and can provide 1, 2 and 3 point latches (with horizontal or side entry Pullman latches) and 2 or 3 point bolts (with vertical Pullman latches). Suitable for public buildings (such as hotels, schools, retail outlets, hospitals, nightclubs) where people are unfamiliar with the surroundings. 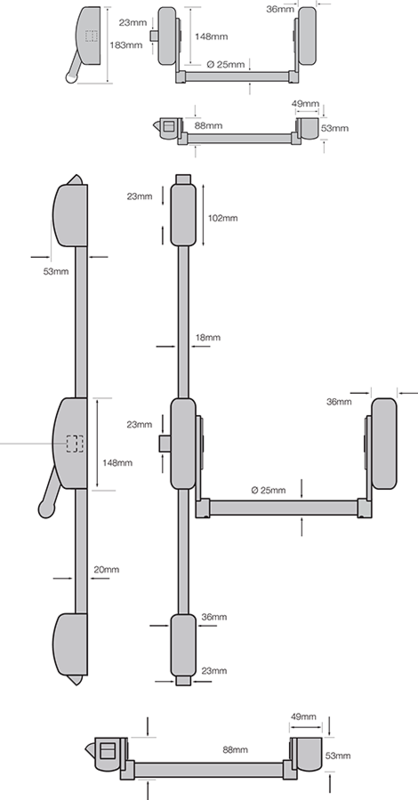 Standard devices suitable for doors up to 2585mm high, 1050mm wide, for larger doors variations available to suit doors upto 3150mm high, 1450mm wide. Supplied with striker plates for timber doors. Strikers also available for PVCu, Aluminium and Steel doors (Please specify when ordering). 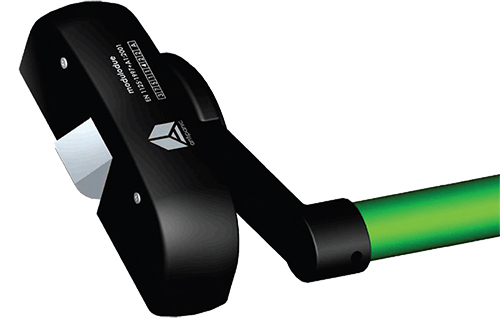 The modular cross bar range can be provided with a microswitch contained in either the operating mechanism or idler. If required please specify at the time of ordering the microswitch location. Dogging should not be used on the fire/smoke door assemblies. The modular range is available with a dogging or hold-back facility. Can only be used on escape doors. 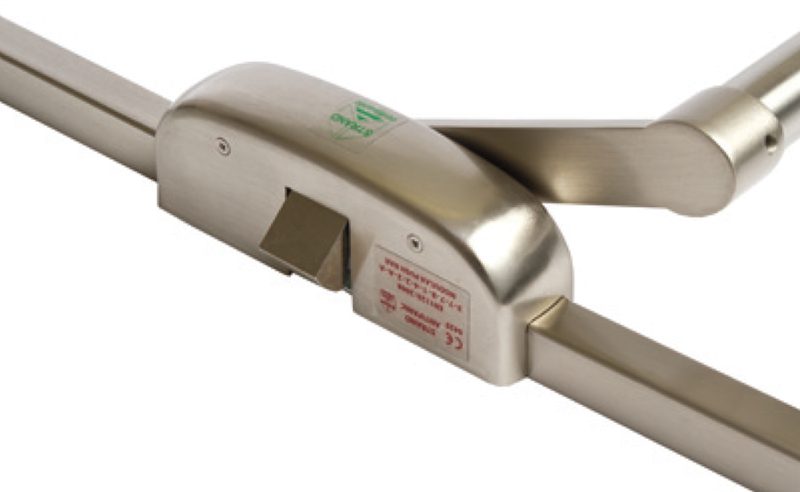 Optional outside access devices with lever handle or knob to provide entry from the outside. Silver EPS (20), Black EPB (01), White EPW (25), Silver with Green crossarm SGN (82), Black with Green crossarm BGN (81), White with Green crossarm WGN (85), Black with SAA crossarm BSR (80), Other Colours (00). Satin Stainless Steel Plated SSSP (44), Satin Stainless Steel Plated with Green cross arm SSGN (84), Polished Stainless Steel Plated (PSSP (55), Polished Brass Plated BP (43). Touchclean® antibacterial coating available to special order. Various other RAL colours and *plated finishes are available on request. Please contact us to enquire.